based on an article that originally appeared in “Mandolin Magazine,” Winter 1999. The designation “classical mandolin” is used to describe a performing style and also a body of music written for mandolin that spans four centuries. I plan to introduce both technique and repertoire in my articles, and here we’ll consider repertoire, starting, appropriately, with a work from the Classical Era. Running from around 1750 to 1825, the Classical Era is a style period in music history that came after the Baroque and before the Romantic Era. It was a time that favored a universal approach to music composition, when just about everyone agreed on what characteristics a well-written piece of music should possess. Composers used simple folk-like melodies with tonal triad-based harmonies and transparent texture to break away from the complex structures of the Baroque Era, considered heavy and old-fashioned by mid-eighteenth century. All Classical-era composers used the same formal structures for their compositions, and few were interested in breaking the rules. In such an environment it’s pretty easy to determine which composers were “best,” separating the rule-followers from those whose music transcended its structure to create eternal works of art. The Classical Era’s three master composers — Haydn, Mozart, and Beethoven — achieved lasting fame, while the works of most others were lumped together under the designation “anonymous style”. There were many beautiful pieces written for mandolin in this period by little-known composers like Canciello, Hoffman, and Guiliano, but the mandolin was also popular enough at the time to attract the attention of Mozart and Beethoven. 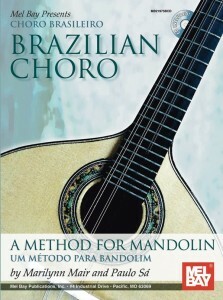 In this article I’ll introduce a piece written by Mozart, “Komm Liebe Zither,” composed in 1780 for mandolin and voice. 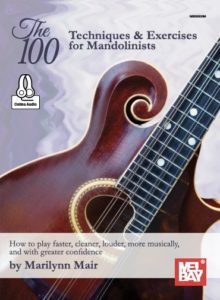 You can find the music for this piece in many mandolin anthologies and method books, or with my column in “Mandolin Magazine,” on which this article is based. Wolfgang Amadeus Mozart (1756-1791) is credited by many with welding the beautiful melody of Italian vocal music to the great musical structures of the German Baroque, creating works of clear genius and simple beauty. Born in Salzburg, Austria, he traveled and performed in Italy as a child, and absorbed the musical styles of both countries. He used the mandolin to accompany the voice, and we have two songs and an aria from his opera “Don Giovanni” in the mandolin repertoire. In “Komm Liebe Zither,” the mandolin plays a simple accompaniment to the voice, composed largely of arpeggiated chords. A chord is called “arpeggiated” when its notes are played one at a time. For example, a C major chord, which is spelled C-E-G, can be arpeggiated by playing its notes in the sequence Mozart writes in measure three of “Komm Liebe Zither”: E, then C, then G, then C again, and E, repeating those three notes to create a pattern. The arpeggio pattern is generally predicable and doesn’t skip notes, but is subject to some variation by the composer. The mandolin accompaniment to “Komm Liebe Zither” uses arpeggios and scale runs in the key of C major, with a simple I-IV-V (C-F-G) harmonic progression. Thus, although it’s a piece of classical music, the accompaniment style of Mozart’s “Komm Liebe Zither” bears a remarkable similarity to many folk song accompaniments improvised by mandolinists and guitarists today. The melody of “Komm Liebe Zither” is also lovely on mandolin, “sung” with a lovely tremolo. So find yourself a friend and work out an arrangement of this Mozart duet, written with the mandolin in mind. Don’t spend too much time fretting over historical accuracy. If you do, you’ll actually have to buy yourself a new instrument before you can even put pick (or quill) to string, since Mozart probably wrote “Komm Liebe Zither” for the 6-string lute-shaped mandolin popular in Austria at the time. But for now, just play the music and enjoy. Return to the Mandolin Articles page. Posted December 30th, 1999. Bookmark the permalink. Both comments and trackbacks are currently closed.